Over the years, Leamingtonians have become accustomed to having retired Army and Navy Officers of senior rank as near-neighbours. At the outbreak of the First World War, one of the town’s most respected citizens was General Augustus Goodfellow; a former Commandant of the Corps of Royal Engineers. The General was held in high esteem locally having been awarded the Victoria Cross during the Indian Mutiny. What was not foreseeable in 1914 was that before the end of the Great War a further four Victoria Crosses would be awarded to men with Leamington connections. Given that the population of the town at that period was fewer than 28,000, this is a rather remarkable statistic. The following is a brief account of the actions in which these four Victoria Crosses were won. The details are given in date order. The details of the award to General Goodfellow in 1859 are covered in a separate web page on this site. In due course, fuller details of each of the following VC recipients will be posted on the site, some are already available and can be viewed via the link at the end of their section. Arthur Forbes Gordon Kilby was born in Cheltenham on 3 February 1885, his parents subsequently moved to a house in Lillington Avenue in Leamington Spa. He was commissioned into the South Staffordshire Regiment, promoted Captain in 1910 and served with the Staffords from the outbreak of the war in 1914 being awarded the Military Cross in November 1914. 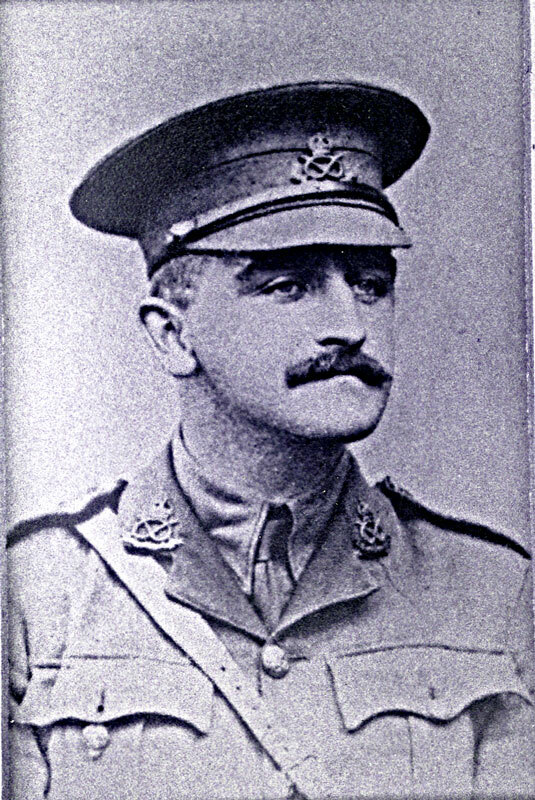 In March 1915 Captain Kilby was at Cuinchy in France on the opening day of the Battle of Loos; the first engagement of the Great War in which the British Army used poison gas. Much of the gas blew back into the Stafford’s trenches incapacitating many of the men. Captain Kilby volunteered to lead the remnants of ‘C’ Company in an attack against a strong enemy machine-gun post on the La Basée canal although in the opinion of his brigadier, Kilby was well aware that the problems with the gas would prevent any success but he was determined to lead his men although this meant almost certain death. Within a few minutes, he was mortally wounded, his foot blown off. He continued to cheer his men on and to return fire with his rifle. He lead his men up to the enemy wire in a hail of machine-gun fire and a shower of bombs and was later posted missing in action presumed killed. 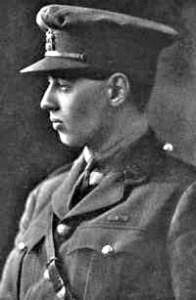 The award of the VC was made posthumously; his father received the medal from KIng George V at Buckingham Palace on 11 July 1916. 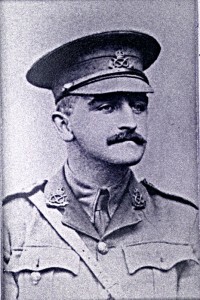 Arthur Kilby’s body was eventually recovered some fourteen years later and interred at Arras Road Cemetery, Roclincort. John Cridlan Barrett was a local man born at 30 Regent Street, Leamington in 1897. His father was a pharmacist and an Alderman on the borough council, his mother was a member of the Cridlan family,owners of the town’s principal hotel the Regent. He was educated at Merchant Taylors’ School and began medical studies which were suspended when he enlisted in the Army on 27 January 1916. He was posted to the Leicestershire Regiment and served with them on the Western Front without a break throughout the Great War. 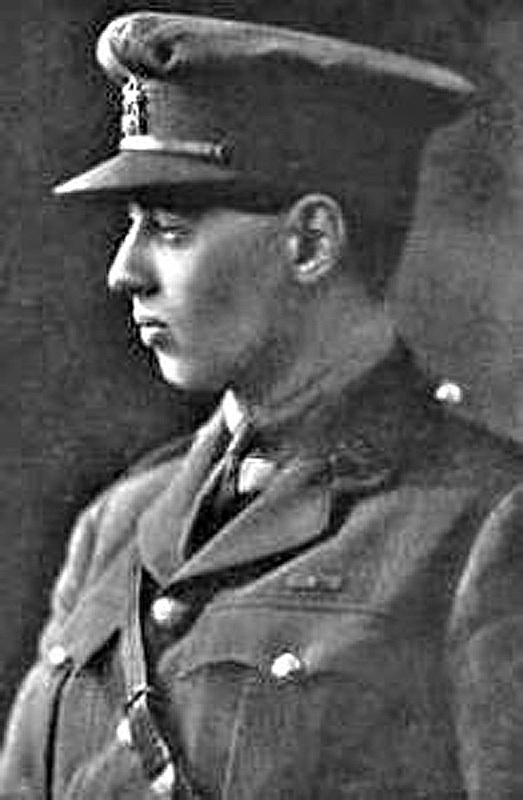 In September 1918 John Barrett was a twenty-one year old Lieutenant with the 1/5th Battalion of the Leicester’s (The Tigers) at Pontruet in France a month before the great Allied advance began. On 24 August he led a night attack under a smokescreen on Forgans Trench a heavily defended German position. He collected all available men and led a charge against the nearest group of machine guns, being wounded on the way. In spite of this, he gained the trench and personally disposed of two machine guns inflicting many casualties. Wounded a second time, he climbed out of the trench to fix his position and to locate the enemy. He was able to direct his men back through ‘No Man’s Land’ to their own lines but was wounded a third time so seriously that he was unable to move. His men carried him back to the Tigers’ trenches. The award of the VC was published in the London Gazette on 14 December 1918. John Cridlan Barrett picked up his medical studies after the Armistice and had a long and distinguished career as a surgeon. He died in Leicester in March 1977 at the age of seventy-nine. His funeral was followed by cremation. Henry Tandey was born at Swain’s Buildings in Kenilworth Street, Leamington on 30 August 1891 and was known throughout his life as ‘Napper’ Tandey. His father James had served with the 16th Lancers in South Africa and following in his footsteps. ‘Napper’ enlisted with the Princess of Wales’s Own Regiment (Green Howards) in 1910. Henry served on the Western Front throughout the First World War and claimed the unique distinction of being the most decorated British private soldier of the war. 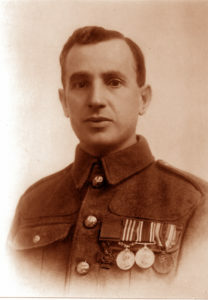 In the space of six weeks in the autumn in 1918, he was awarded a Distinguished Conduct Medal, a Military Medal and the Victoria Cross whilst also being mentioned five times in despatches and being told by a senior officer that he could not be adequately rewarded because he had already won all the gallantry medals available. On 28 September 1918 at Marcoing, France, when his section was held up by machine-gun fire, Private Tandey crawled forward and knocked out the gun position. He then restored a plank bridge under a hail of bullets but later the same day he and his eight comrades found themselves surrounded by an overwhelming number of German infantry and seemingly in a hopeless position. Completely undaunted, Henry led a bayonet charge which led to the enemy being routed and thirty-seven of them taken prisoner, an action which gave rise to the award of the VC, which in the words of the citation, was for ‘desperate bravery’. Henry survived the war and returned to ‘civvy street’ living in Coventry. He died on 20 December 1977 and his ashes were taken back to France and scattered in the Marcoing British Cemetery. William Amey was a ‘Brummie’ born in Duddeston in Birmingham on 5 March 1881. In 1914 he joined the Territorial Army at Aston Cross in Birmingham and served with the 1/8th Royal Warwickshire Regiment throughout the First World War. In the earlier months of the war he was promoted to Lance Corporal and won the Military Medal. 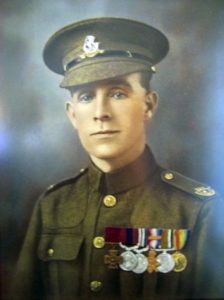 William Amey was demobilized in 1919 with the rank of Corporal and moved to Leamington where he spent the rest of his life in business working as an agent. He died in the Warneford Hospital on 28 May 1940 and was buried with full military honours in Leamington Cemetery.